Is there a lens to put on the GoPro to reverse FishEye? Some people love fisheye effect, I seriously detest it to be honest. But I love GoPro on the Go and it's flexibility and wide availability of accesories. I have read about software correction of FishEye but I now put the GoPro on 2.7K. But I would like to put it on 4K. My Hero5 I have ruined by changing the lens for a non fisheye lens: it was not as crisp and clear (also with colours) as the original lens. So that made me think: is there somebody who has made a lens to put in front of the original lens that reverses the fisheye effect? Like that I can still shoot in 4K and do not have these horrendouse curvy sides on my videos. Easiest would be a lens like the protective lens (AACOV-001) that has reverse fish eye in it.Because then it is very easy to change it and you have 2 choices. Or am I thinking to simple and would something like that be not possible to make? The benefit: you have both choices: fish eye and linear with a simple changing of the protective lens. And that would be an argument against competitors (such as DJI Osmo Pocket for instance that only covers linear). So: does this already exist? If so: where can I buy it? If it does not exist: do you think it would be possible to make something like that? There is no lens available. We'll try to submit your suggestion and question so that we'll know if it will be possible. It's a simple way to get an extra audience using the GoPro not just for action, but as a Holiday camera as well. I'd like that idea personally to have a GoPro that has interchangeable lens. 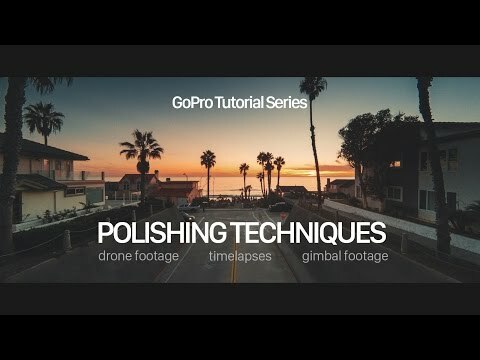 Please not that GoPros own media team removes fisheye effect from most videos during editing with Adobe Premiere Pro. Dewarping is done with "optics correction" or "lens correction" in most editors. Sometimes with a paid plug in. Thanks for that. I know there are many software options available to 'remove' fisheye effect. But in fact it is partly zooming in and adjusting horizons, so there information goes lost. By zooming in, the picture gets 'blown up' (i hope that is a correct term for it). It is like editing my 2.7k linear in a 4k movie. It is not true 4k in source material. That's why i look for a lens solution. Plus a lens solutions gives me less to do in post production, since I no longer need to remove fish eye. That is also why I now prefer filming 2.7k linear, instead of 4k with fish eye removal via software. There are some companies that offer (at a premium price) adjusted GoPros with interchangeble lenses. And those that offer a non fisheye lens, which I bought. It was relatively easy to take the original out and put the non fish eye lens in. But I disliked the result in image. It was less crisp and colours were less good. So, I still hope for a slide over lens (or something like that), that is easy to use and removes only the fish eye effect. this is what can be done the lens used for a gopro https://www.peauproductions.com/collections/gopro-hero-7-6-5-lenses/products/gopro-hero-5 a little adjusting with the gopro app at 3 ft on an object you should be no more fisheye. then wait for gopro to simply add in 4K linear . use Post and edit the software will crop some Linear, EIS all do what, crop.